Parents today are looking for new ways to engage and bond with their kids after school, encouraging them to play and be inspired – even at snack time. Today, Mondelēz International, Inc., unveiled a new treat which joins TEDDY Grahams as part of the new TEDDY brand portfolio. Already known and loved by parents in more than 40 countries around the world by other names such as Barni, meet TEDDY Soft Bakes – the treat that’s rooted in the idea that food can help inspire moments of playful discovery, and snack time can provide an opportunity for parents to connect and share with their kids. To help launch the new TEDDY Soft Bakes product, TEDDY is working with TED, the idea-based non-profit organization and advocate for curiosity. The two brands hosted a TED Salon session on February 15th with two TED Speakers, exploring and reinforcing the ties between snacking and childhood playtime. At the event, panelist Dr. Stuart Brown shared how his studies have shown that children who are encouraged to play have a better sense of community, stronger sense of belonging and are better at processing new ideas. TEDDY Soft Bakes are currently on shelves in local grocery or superstores nationwide in the cookie and cracker aisle next to TEDDY Grahams. 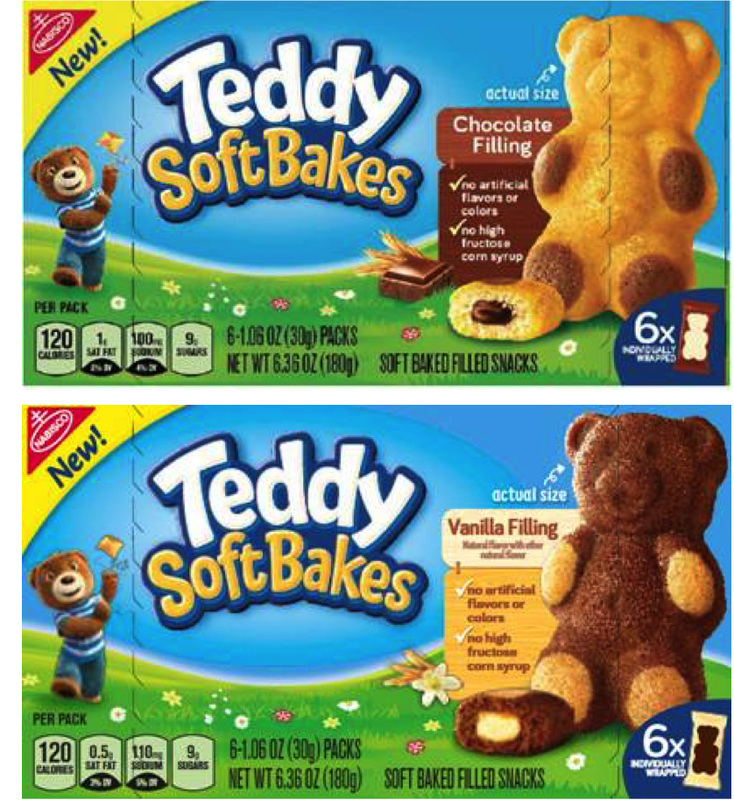 Both flavors of TEDDYSoft Bakes are available for a suggested retail price of $3.29 and are individually wrapped portions in a six-pack box. In addition, the Chocolate Filling variety is also available in a 12-pack box for a suggested retail price of $6.49.